An op-ed on the wickedness of application. diagnoses and demonstrates, bringing truth and untruth into an encounter with the physical world and resetting the conditions of possibility for quantitative and qualitative experience. In taking distance and measure, this type of practice insists that architecture is concerned with producing subjectivities, inventing mixed-media methodologies, and exploring the aesthetics of indeterminacy paradoxically latent to our discipline. The popularization of terminology associated with “testing,” “experiment,” and “research” in recent discourse signals an increasing valuation of the intermediary products between ideation and construction as conventionally understood. In the traditional design process thought from scale-less sketch to scale model, the latter serves as proof of concept in educational and professional realms, and the former is now acquired into museum collections. Applied research short-circuits the serial model of design production in favor of a parallel processing one, where problems that lie between initial strategy and final execution are figured as primary. For example, problems of environmental research, programming, social and labor organization, communication design, scripting and coding, and fabrication (to name a few) can and do support autonomous inquiries that seek immediate 1:1 demonstration. The language of “testing” is also symptomatic of a desire by architects to enter into alternative relationships of power where value is created, consensus debated, and epistemology developed—whether new markets, social practice and policy, forensics and cartography, artificial intelligence, data mining, or “life itself.”1 By its nature, applied research permits technology transfer into and out of architecture, and qualifies the valuation of architecture against phylogenetic, social, cultural, and ethical capital, as well as in its more conventional funding and costs. By extracting and deploying the “test” from a spectrum of practices adjacent to architecture, the architect emerges as an arbitrageur, double agent, or hacker, rendering architecture as the humanizing of technology and introduction of philosophical and moral issues into the instrumental relationship between human beings and the constructed environment. courtesy of The Andy Warhol Museum. When monitoring and modification collide. frequently caused physiological and psychological discomfort. Screen Tests both problematizes the assumed role of photography as an objective form of documentation and forces an alternative encounter with the technological apparatus. The ensuing “endurance test” guarantees, if not outright celebrity, then at least an initiation into a select community of the celebrated and notorious. In describing those who sit for the Screen Tests as a “quasi-double” for the artist, and in noting that “this self is subject to both alienation in the image and automatization in the process,”3 Foster draws attention to problems of identity, agency, and self-representation that reflect onto the originator of the work. In addition, the sublimation of social relationships within a technical apparatus governed by frames per second anticipates future iterative technologies, the transfer of intelligence from man to machine (exemplified by something like the Turing Test or machine vision), the conflation of the technical and televisual image (perhaps best represented by the explosion of Space Shuttle Challenger), and the problems of identity inherent in a shift to Big Data and “selfie” culture. In the second case, when Foster notes that Warhol differs from his contemporary Marshall McLuhan, who “viewed media technologies as prostheses,”4 the Screen Tests appear as that which aggressively shields and encloses, if only temporarily, “a place apart”—namely the Factory. McLuhan, in embracing the extension of sense and cognition through media technologies—an outward movement from a stable self, or selves, toward the world—privileges the structure of media over content. Warhol’s obsession with portraiture and self-portraiture, image and self-image, instead suggests a dissembling, a kind of camouflage through media technologies, where an unstable self or social formation is protected from view. A “test subject” in front of Andy Warhol’s 16mm film camera (undated). Photo courtesy of the Estate of Nat Finkelstein. Architecture and the 'Creative Economy. '—creating the possibility to extend what Richard Meyer calls “outlaw representation”5 into these fields, and then into architecture. Andy Warhol. 13 Most Wanted Men (1964) © 2014 The Andy Warhol Foundation for the Visual Arts, Inc. / Artists Rights Society (ARS), New York. Illus. in Bradford Collins, “Jokes and their Relation to Warhols ’13 Most Wanted Men’,” Notes in the History of Art 17.2 (1998). This “reality test” is less a cautionary tale than an acknowledgment that the studio shares a similar inside-outside relationship as the lab-field of scientific research. In Bruno Latour’s study of Louis Pasteur, experimental space moves from countryside farm to a laboratory at the École Normale Supérieure and back again. Latour writes: “the very difference between the ‘inside’ and ‘outside,’ and the difference of scale between ‘micro’ and ‘macro’ levels, is precisely what laboratories are built to destabilize or undo.”6 Warhol’s The 13 Most Wanted Men and Screen Tests are then forms of “artistic research” described by the recently inaugurated Journal for Artistic Research as research providing “an artistic and epistemic orientation that does not only give information but demonstrates an engagement.”7 In this definition, the works become part of a larger demonstration of engagement— “in effect, photo-booth, mug shots, and publicity images all rolled into one,”8 into techniques like filming and projecting at different speeds, installing in galleries versus at happenings, or in composing a subject through film versus as a combination of frontal and sagittal views. Between the 13 Most Wanted Men and Screen Tests, the triangulation of self-object-apparatus yields a comparison between celebrity and criminality, and implicates, if normatively, the architectural object as enclosure and surface. In this example, what separates artistic from scientific inquiry is the possibility of interested versus disinterested research and a refusal to standardize or conventionalize engagement. Further, if the criteria of evaluation for artistic research is knowledge production and interrogation of presentation technique in search of aesthetic experience, we can begin to contrast that with criteria of evaluation for the other implied protagonists in the story of the 13 Most Wanted Men: for scientific research, refutability, and reproducibility in search of fact; for legal research, citation and sourcing in search of decision. Reflecting Warhol’s works onto architectural research prioritizes experimental methodologies of triangulation and their criteria of evaluation, rather than the psychodynamic concerns of subjectivity explored by Foster. What carries forward is the idea that a “screen test” exemplifies the “vicissitudes of self-imaging and the technological training of the modern subject.”9 Following this, we see that the screen test is in fact present in architecture from antiquity onward, including the myth of Dibutades’ daughter and her lover,10 Durer’s wood cuts, the Ames Demonstrations in Perception, work by Ed Ruscha and Ant Farm, as well as the early visualization experiments of Lise-Ann Couture—which required a photographic darkroom, and Bernard Tschumi—who freely appropriated cinema for architecture. As such, we can expect that the articulation of the screen test continues to change over time with the reconceptualization of the body and subject, both politically and through techniques of self-imaging: including surgery, the X-ray, and the Human Genome Project, as well as technologies like LIDAR and simulation software packages. Karl Friedrich Schinkel, Origin of Painting, 1830. Image courtesy of the MIT Press, from Translations from Drawings to Building and Other Essays by Robin Evans. Architecture and the 'Creative Economy.' (1967–1986) and the academic studios taught by Robert Venturi, Denise Scott Brown, and Steven Izenour at the Yale School of Architecture—“Learning From Las Vegas” (1968), but also “Learning From Levittown” (1971)—are, if not de facto representatives of the true state of architectural research in the late 1960s, nonetheless mythical representatives in the story that architecture tells itself. Indeed, “politics changed” in the early 1970s, as did the status of “environment,” gold with respect to the dollar, labor unions, media technologies, and the distribution of risk. 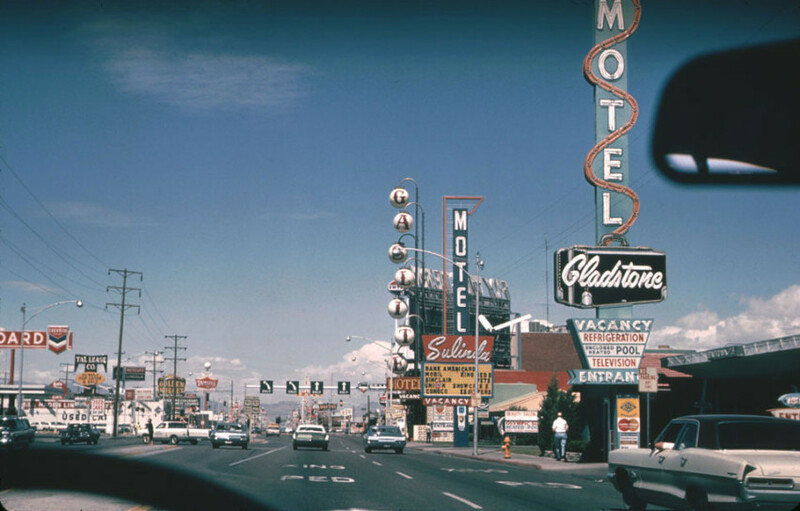 The Las Vegas Strip (1968) © 2014 VSBA. Photo courtesy of University of Pennsylvania Architectural Archives. Images courtesy of The MIT Press, from Learning From Las Vegas, by Robert Venturi, Denise Scott Brown, and Steven Izenour. Architecture and the 'Creative Economy.' for artistic, scientific, and legal research). But rather than lament this promiscuity, we should understand that the impurity of architectural research is its strength. The netherworld of the Phantom Tollbooth Plaza. on the road or in an institution of one’s making, research diverts labor, momentarily escapes from the conventional criteria of evaluation of the academic studio or professional practice, and opens onto alternative systems of value—the comfort of philosophy, the futurology of statistics and demographics, and the risky card game. While the ubiquitous camera functions as an initiating apparatus per Screen Tests, the processes of grant-writing and desert-adventuring exemplify encounters with a more broadly defined set of technologies that, as Walter Benjamin reminds us, “subject the human sensorium to a complex kind of training.”17 These encounters of the late 1960s imposed the social sciences regime upon architecture—its epistemology, subject, methods, but also its previously unavailable funding opportunities—and reveal the architect to be an opportunist and an arbitrageur, if not yet a double agent or hacker. It should become clear that applied research triangulates not only self-object-apparatus, but also makes “environment” explicit. In the first case, through encounters with “quasi-doubles,” architects indirectly intervened in the spaces of law – civil rights, women’s rights, workers’ rights. Through encounters with institutions and governments, architects indirectly absorbed methodologies (and funding) from not only the social sciences, but also the Space Race, and the quality control of the consumer electronics industry. 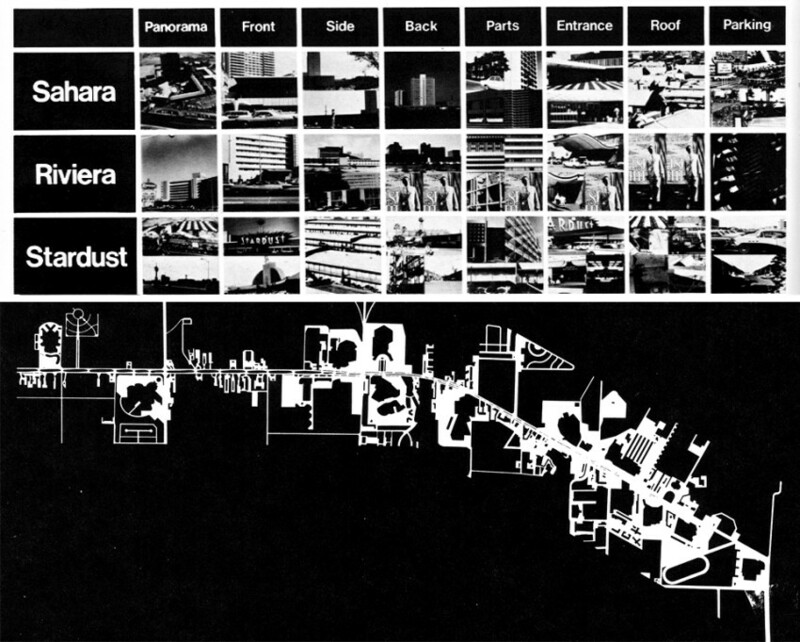 In the second case, the “environment” latent to the late 1960’s included everything from Ian McHarg’s and McLuhan’s respective definitions of ecological and mediatic environments, to the politics of urban renewal and the smoke from cities in flames, to redefinitions of civil rights and neoliberalism. 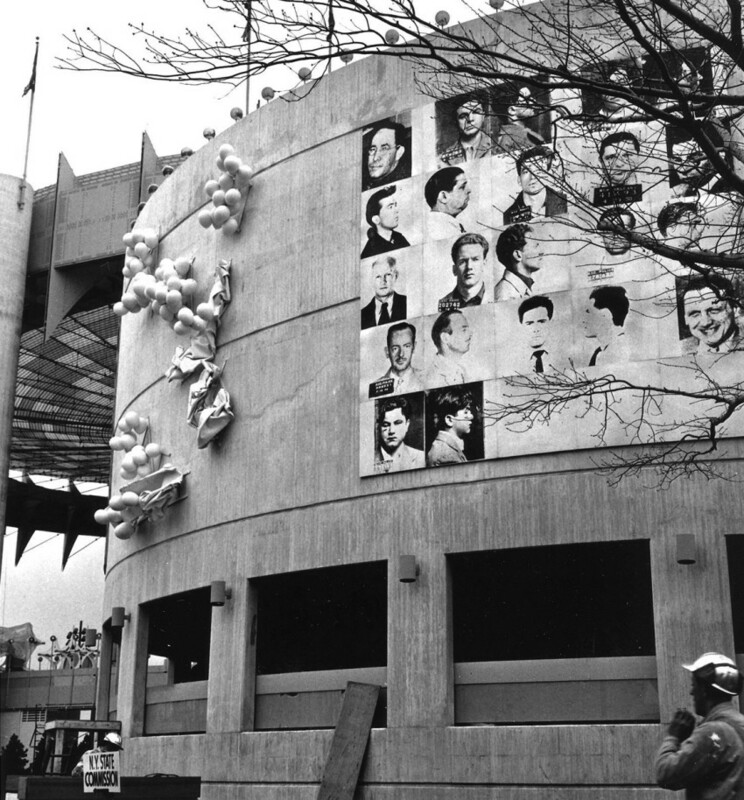 It is these “political implications” which set up the possibility for the test that produces outlaw representation on the face of architecture, in its written practice, but certainly elsewhere. We must then ask how this law of nature feeds back into our discipline’s imperatives, methods, ethical system, and theories. Testing, neither inherently nor explicitly of scientific form as per Warhol, the IAUS, and the Yale studios, carries within itself a desire for evermore rigorous analysis and evaluation. The screen test, endurance test, and reality test produce open and unfinished possibilities. This recursive tendency suggests that testing is everywhere present—so long as there are subjects and objects, and that an apparatus may shift from a physical tool to a system of thought or finance—real or virtual. By one measure, the test drive clarifies the relationship between modalities of testing. If the screen test is born of artistic practice, Ronell locates the origins of the endurance test in Kafka’s fictional spaces of legal trials and cross-examinations, and of the reality test in Freud’s gay science. Her theorization of the test drive, too, then operates through triangulation: an interdependence of art, law, and science, each constituted by a “vocabulary of doubt,”25 and “community of verification.”26 In the first case, in its traditional concerns with sense, language, and calculation, architecture essentializes the interdependence of art-law-science. In the second case, as a postmodern expert system that institutionalizes and transfer risks from the public, architecture qualifies and exceeds these vocabularies and communities by making its own faith-based guarantees.27 By another measure, the test drive extends a methodology of triangulation into architecture, too often thought through dialectical relationships like theory versus praxis, inside versus outside. Instead, we may find use for such couplings as error-failure-illegality and tradition-discipline-practice. How (not) to experiment in a volatile, uncertain, complex and ambiguous world. for the production of space). Simply, these are to be avoided. From the prevention of structural failure (extending to the management of other material conditions including fire, egress, heating, cooling, and air circulation), to conformance with legal practices in the form of contracts, building codes, local law, and ADA, to control over errors in calculation and data processing (from cost control to unruly software to information management and retrieval), architecture emerges from institutionalized testing as a form of risk management. Field notes from the arts research boom.” that asks students to fail early and often. In the second case, the idea that the self is constituted before law informs not only the invention of participatory and spatial practices but also techniques by which to bear witness to folds in sovereign power and wrinkles in the social contract. Lastly, the trial-and-error approach that has gained ascendancy with the iterative possibilities inherent to software and fabrication productively questions the authorial role of the architect. At the same time, the possibility of errors in structures of thought and in databases of information open onto the staging of cognition and intelligence, both sensorial and artificial. It is through applied research that architecture can strategically and actively pursue small acts of planned obsolescence—in some respects the making of tradition29 as a means to create space for foreign elements. While it is still common to speak of architecture as riven by a theory-praxis divide, this antagonism is no longer reducible to dialectic. Transitions in architectural education and professional practice—some, but by all means not all, brought about by digital technologies—have perhaps precipitated this third term: tradition. This is not to say history-by-another-name, nor to summon the traditional against the modern, but to imply that in the triangulation of tradition-discipline-practice, an opening is found to seek alternative originary scenes. Thus, applied research emerges as a kind of self-test—a search for origins and limits to historicize the profession in its current form as a liability-based form of risk management. 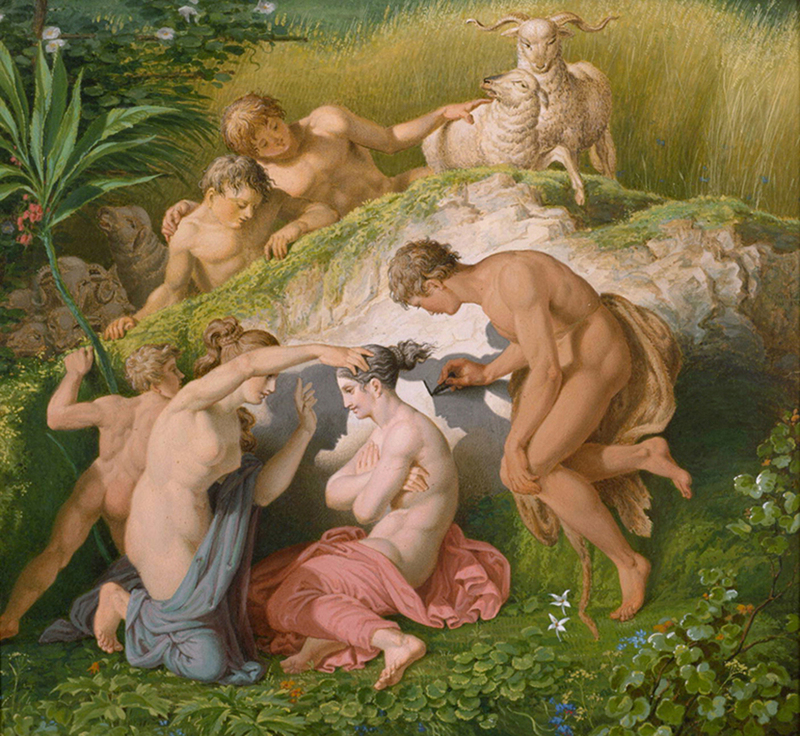 The test drive suggests that a third originary scene might be added to the profession’s twin natal stories typically organized around the Albertian paradigm and the invention of perspective. The first predicates the licensing exam and the construction drawing as discussed by Mario Carpo30 and others; the second, attributed to Filippo Brunelleschi by Robin Evans31 and others, lays the “scientific” foundation upon which architectural fantasies are projected. Though not contemporaneous with either, Christopher Wren’s “weather clock”—designed in 1663 by Wren but constructed by Robert Hooke in 1679—suggests that another kind of apparatus might lie at the heart of architectural inquiry. Both Brunelleschi’s “viewing machine,” by which he rediscovered linear perspective in front of the Baptistery in 1420, and Wren’s “weather clock,” designed to measure temperature, humidity, rainfall, and barometric pressure, share certain similarities. Both situate the (male) architect as an interdisciplinary polymath with comparable expertise in goldsmithing, engineering, visual arts, and theater, or in mathematics, physics, and astronomy. In each case, the design and testing of an apparatus, as distinct from the role of architecture in housing humanity’s research functions (from the library to the seventeenth-century house of experiment, from the nineteenth-century operating theater to the laboratory of Big Science), reveals a participatory relationship to what we today call applied architectural research. Left, The accuracy of perspective drawing demonstrated in front of the Florentine Baptistery, © 2014, The American Institute of Architects. All rights reserved. Illustrated by Jim Anderson in Il Duomo: Brunelleschi, a Man of Many Talents (AIArchitect 15, 2008), by Jim Atkins. Right, A contemporary drawing of Christopher Wren’s “weather clock” illustrated in Robert Multhauf, The Introduction of Self-Registering Meteorological Instruments (Washington DC: Smithsonian Institution Scholarly Press, 1961). Social measurement of the unlikely., whereby knowledge is produced from opinion by a public process (rather than discovered through private rumination, abstraction, and logic), is both social and epistemic. While Brunelleschi’s and Wren’s tests obviously predate the institutionalized testing regime of the modern profession, the latter originates in Alberti’s separation of design from building in the fifteenth century.32 More importantly, if Brunelleschi demonstrated a world imaged through light and geometry and Alberti one constructed through the virtual organization of labor—both reducible to a type of circulating drawing, Wren’s apparatus is a reality test that makes environment explicit as pneumatic facts that vary over time. 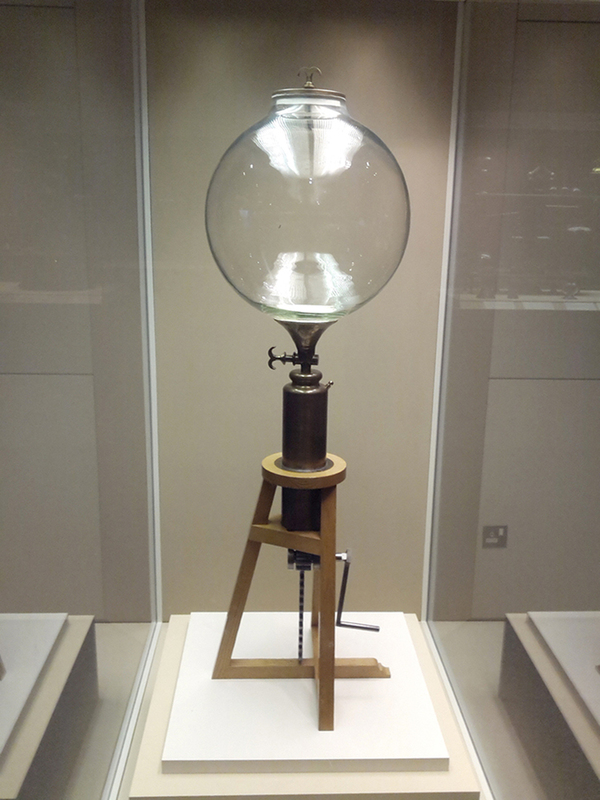 Replica of the Hooke-Boyle Air Pump. Photo courtesy of Kinkreet, via Wikimedia Commons. Of course, Boyle’s air-pump experiments became axiomatic, teachable, and testable, in the law PV = nRT. This ideal principle now forms part of a basic science whose engineering and aeronautical applications include steam turbines, jet engines, and space rockets. We are reminded by something like the failure of the Space Shuttle Challenger’s O-ring in 1986 that pneumatic and other facts are contingent; scientific testing itself is not immune to its own “crisis in witnessing.” The loss of Challenger brings us from the “weather clock” to the instrument panel and from the “vision machine” to the television. Broadcast live to schools across the country, the circulation of a failed technical image transcoded into a televisual one displaced and multiplied the possibilities of witnessing. 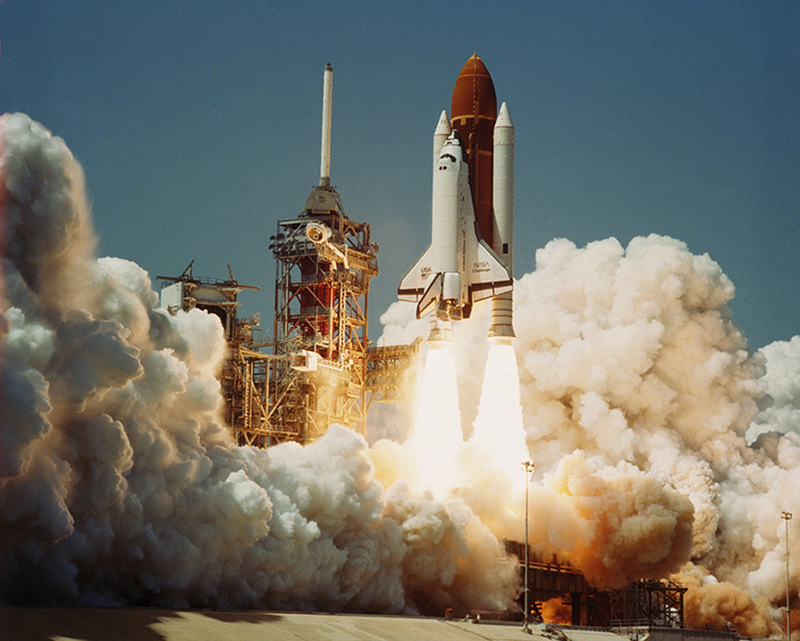 Space Shuttle Challenger is launched on its first mission on April 4, 1983. Photo courtesy of NASA, via Wikimedia Commons. Research systems, as “future-generating machines” and “tracing game[s],” 42 pass through multiple triangulations: self-object-apparatus, art-science-law, failure-illegality-error, and tradition-discipline-practice. These imperfect groupings are designed not so much to explicitly categorize research practices as to valorize a shared tradition of investigation into alternative value systems, technology transfer, and the distribution of risk and the sensible. Through its range of modalities: the diagnostic and instrumental screen test, and the 1:1 reality test, architectural research is uniquely situated to organize all of the above as constituent parts of contemporary society, epistemology, and subjectivity. The future of applied research is relational rather than of a fixed aim toward fact and truth; its research products take both legitimizing and non-legitimizing forms. Opportunities to produce new value are latent in contemporary networks of circulation, through counter-mythologies regarding disciplinary origins, and through alternative criteria of evaluation triangulated from parallel developments elsewhere. 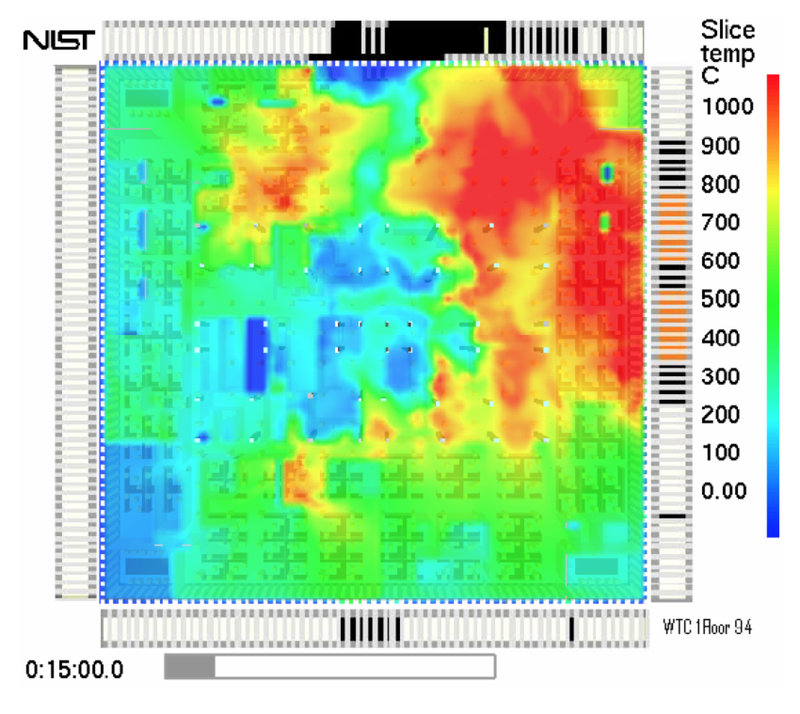 Upper layer temperature of WTC 1, floor 94, 15 min after impact. Illus. in Richard Gan et al, Reconstruction of the Fires in the World Trade Center Towers (Washington DC: US Government Printing Office, 2005). Image courtesy of National Institute of Standards and Technology, US Department of Commerce (Public Domain). Here, we not only recognize that the art-science-law triangle undergirds Sloterdijk’s four categories (inclusive of “achievement in the arts”) but also that each can be thought through testing—the screen test, reality test, loyalty test, and contested desires of the market, as well as air quality tests and the testy rhetoric of sustainability surrounding our poorly tempered environment. Yet, as we have seen in architecture’s dual function as house and apparatus (and now metaphorically as the structure of computation), it is everywhere implicated in this gambit. In actuarial terms, architecture’s ubiquity across Sloterdijk’s categories is a result of its simultaneous function as both a method and object of insurance. The (service) profession of architecture cannot fail, err, or cross over the line of legality; professional practice and buildings themselves are redundantly insured to hedge against risk. Climatic architecture at the end of calculation.. Though the disciplinary self-test is perhaps now more individuated as the “selfie,” it may be possible to speculate on certain relationships in applied research based on shared criteria of evaluation, mythologies, and models of circulation. For example, Reyner Banham’s Architecture of the Well-Tempered Environment50 and Alessandra Ponte’s “Desert Testing”51 come into view as retroactive manifestos for Wren’s atmospheric intervention. Banham argues that architecture is inseparable from environmental technologies—the arts of light and air, and has too easily abdicated its ethical responsibility to problems of energy. In Banham’s history of passive to mechanical ventilation, we move from Wren’s apparatus that merely measured pneumatic facts to the air conditioner that produces its own climate. Ponte describes the ethical anxiety of artistic and scientific production when confronted with the nuclear tests.52 This “crisis of witnessing” is predicated on the ultimate spectacle of the annihilating environment made explicit by an apparatus that transforms states of matter and energy. In the movement of artistic practice from the studio to the desert (in evidentiary photography and land art intervention) to the museum, a newly alert “quasi-double” joins the heroic experimental explorer as the test subject of an atomic sublime. Reflected through these texts, the nuclear moment, and the end of the Cold War Space Race, the research of contemporaries like Kiel Moe, Philippe Rahm, The Living, and others—while representative of a range of research modalities: the diagnostic, the instrumental, and the 1:1 demonstration, is brought into relief as part of an architectural tradition that adjudicates pneumatic and other environmental facts through the deployment of measuring, conditioning, and energetic, if deadly, apparatuses. Reflecting broadly through Brunelleschi’s perspectival experiment to the computer screen, the gun sight, and contemporary interface design, we might locate an intermediary hybrid in Vannevar Bush’s 1945 “Memex.” A proto-hypertext system born of military-sponsored research, the Memex’s microfilm storage and display were integrated into a midcentury office desk. As Bush writes, “Thus science may implement the ways in which man produces, stores, and consults the record of the race.”53 But the test drive problematizes science. For example, while concerned with the visual representation of populations at risk—diagnostic projects like Laura Kurgan’s “Million Dollar Blocks”54 and Eyal Weizman’s spatializing of the stateless55 cannot be thought without human rights and the counter-analysis of the statistical subject. By comparison, by instrumentalizing “nature,” Catherine Seavitt-Nordenson et al’s recent project on Palisades Bay56 expands the role of the architect, not only into landscape architecture, but also into policy, zoning, and building code that govern the housing of populations at risk from rising tides and climate change. 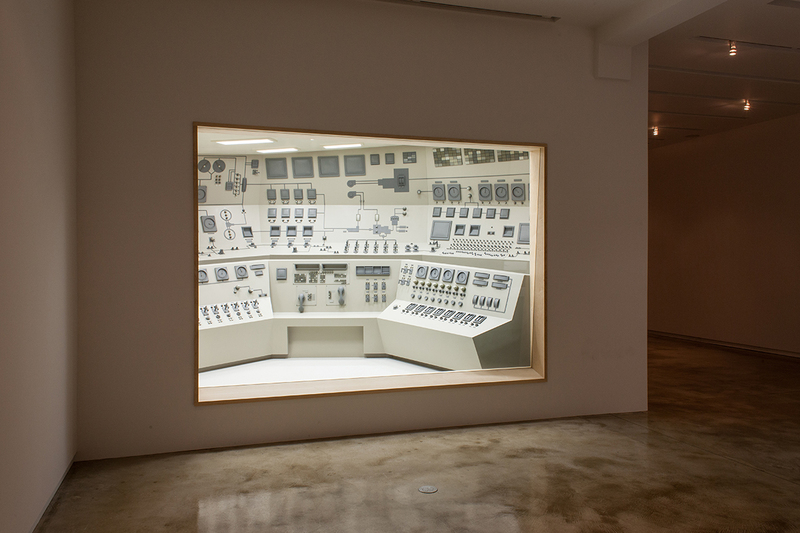 And in the lineage of the training of the sensorium via an encounter with technology, Aranda Lasch’s investment in the scalable fragment represents work that reaches back to architecture’s fascination with ruination while engaging with tooling, fabrication, and computation. Work by Kurgan, Seavitt-Nordenson, and Aranda Lasch have all been exhibited at the MoMA (in exhibitions curated by Paola Antonelli) and thus evaluated or validated as adjacent to art practice. Finally, the movement from a pre-modern Albertian paradigm, to a cybernetic feedback model, to Department of Defense–sponsored development of robotics and artificial intelligence, maps directly onto architecture’s social and labor relationships. We arrive ever closer to a post-human form of split agency, as between man-machine-animal, allowing process thinking, and a renewed vitalism and parliamentarism, to inform the possible futures imagined by architecture. By example, Gramazio and Kohler’s uncanny laboring robots as well as Future Cities Lab’s responsive architectural structures both answer the Turing Test through the distribution of (artificial) design intelligence. By comparison, Storefront for Art and Architecture director Eva Franch’s “Storefront Series” tests the possibilities for social practice, witnessing, and new forms of engagement in the (embodied) intelligence of the design community. Lastly, Jenny Sabin’s research into applications of molecular form has evolved into an interdisciplinary partnership with the cell and molecular biologist Peter Lloyd Jones in a shared laboratory adjacent to both disciplines. 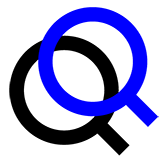 The above work has not only sponsored new forms of collaboration but has also expanded funding opportunities to include industrial contracts, corporate sponsorship, and a $2 million National Science Foundation EFRI grant awarded jointly to Sabin and Jones. As many of the above are also educators, we are reminded that applied research has a contiguous relationship to education and pedagogy. Given higher education’s construction through the testing regime, we must ask how a form of matriculation that both prides itself on producing a generalist who is paradoxically a specialist, can absorb research given its outlaw status vis-à-vis professional practice. Going forward, today’s applied research might redefine agency for a next generation of designers. This next generation is already receiving a general training in spatial skills in virtual testing grounds like the video game Minecraft, – an apparatus itself already adjudicated through intellectual property lawsuit and preemptively acquired by the MoMA.